If it ain't loud...it ain't worth it!!! i'll be doing my first recone very soon, a fane collosus 15b. i'm missing the foam filter from the vent in the back.. i presume improvising some other foam that will serve as a dust filter yet still allow air to flow easily through will do? other drivers i have have fairly open metal grills in this spot. any quick suggestions for a tiny amount of foam? You need open cell foam, I think it's usually 20ppi. I'll drop a piece in the post to you. wow, very kind, markie. i'll probably hit you for a few more grills in the next few months. not right now though. thanks very much markie, arrived today. you're too kind. ^^ service, people, right there. Must say that I found this recone guide invaluable information for my first attempt at a recone, I have just reconed an 18" Omega Pro, of which I am very pleased with the result. The kit from Eminence was a lose parts one which doesn't come with any shims or anything other than the bare bones. The info from Rotobars post was really comprehensive for making your own shims and was an ideal way to make sure that the v.c was centred on both axis. My biggest problem was deciding on what glue to use!! after days of searching and dithering I finally decided to go for Evostick's new seriously strong glue. It starts to go off after 3 mins, sets in 2 hours and is at full strength after 24hrs, it also dries clear. So intially you do get a bit of time for any adjustments as long as it's not anything major!! All in all I found it to be a good glue especially as after a real good pounding the speaker is still all held together RESULT !! cheapest place for loctite 4105? This has probably come up before but I can't find it here. Does anyone know where to get silver (aluminium) replacement dust caps from? Gold effect ones would also be handy. Where would you put it all. any1 up for the job of reconing some pd 2150s? Hi a had a driver that started rubbing after being left in a garage, carefully removed cone and there a scratch in the enamel, does anyone know if it will be ok to leave it exposed or know what the best thing to coat it in? its an 8ohm coil i puttin in a 4ohm basket, that stil ok? Yes no probs, if you want to be absolutely sure, call up Fane and ask Suzan. Just reconed two PD154's using this guide... they sounded awesome in the HD15 cabs on NYE 2011. Very helpful indeed considering the amount i thrown out in the past. didn't this post use to have pictures? can anybody reupload them? Can i get this in hardback....?? very useful been trying to find advice on this for ages. anyone know where to get beyma recone kits for less than nearly-as-much-as-the-piggin-driver? or are they just pricey everywhere? Yes, they are expensive. There are "Aftermarket" Kits around, but in my experience they don´t match the quality of the original. Look in the states für aftermarket Kits. Ok, I´ll check for you. I find it cheaper to repair the voice coil unless the cone need replacing. Over 90% of your items say "MADE IN CHINA"
TBH, I´ve been kept waiting for months sometimes for a reply from some of the sound companies here - it´s very frustrating. I got a message that you sent me a PN, but somehow, I can´t access and write PNs in this Forum. Maybe not enough posts ? Could you send me an email? What you need is a friend in the US who can send them on as a (tax-free) gift, etc. 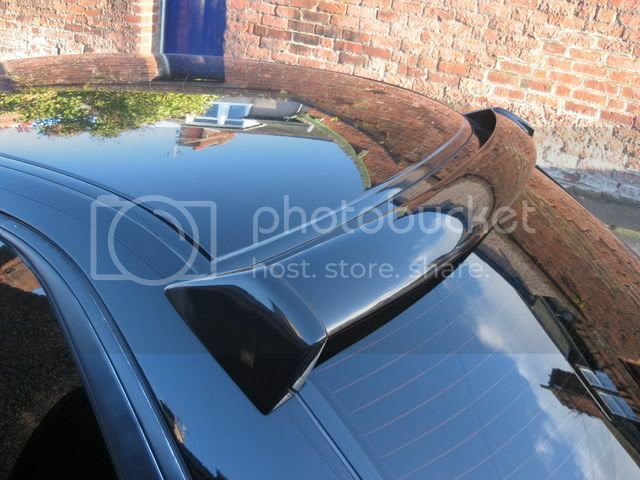 I have used this before to stick a spoiler on the roof of my old Subaru, it was one of the high level rear window spoilers. I used a small bead about 5mm thick 60mm long, so not very much. Called Sika flex, super strong cured over night. Which was no mean feat as it was 312bhp and topped out of revs at 140mph. Is it worth trying on a cone? I have Sikaflex here, its fine as a glue for glueing the cone to the gasket. But as a lubricant for the surrounding I´d guess it´s too thick and viscous.